This statistic displays the share of respondents who believed that social media spreads extremism and intolerance in the United Kingdom (UK) in 2017. Of the different generational groups identified, there was very little difference between the groups. 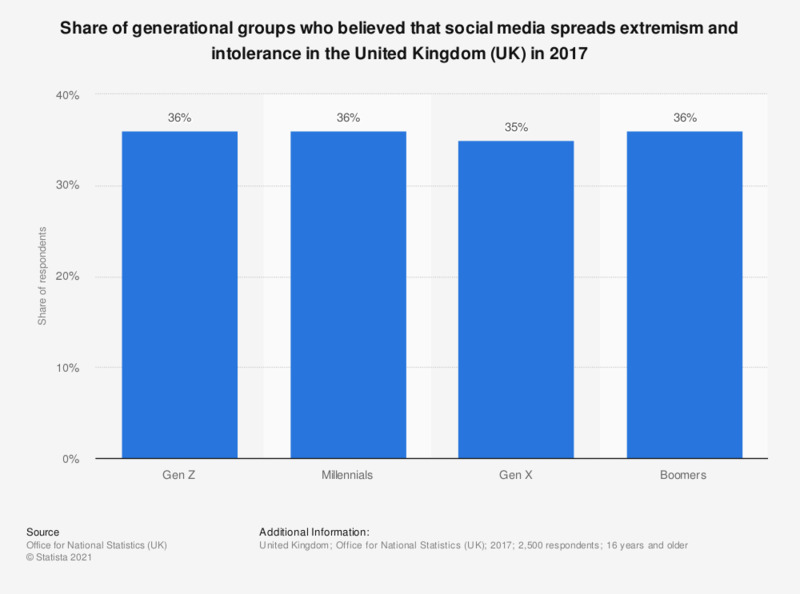 36 percent of the Gen Z, Millenials and Boomers groups felt that social media spreads extremism and intolerance, whilst 35 percent of the Gen X group agreed. Statistics on "Internet usage of Generation X in the United States"